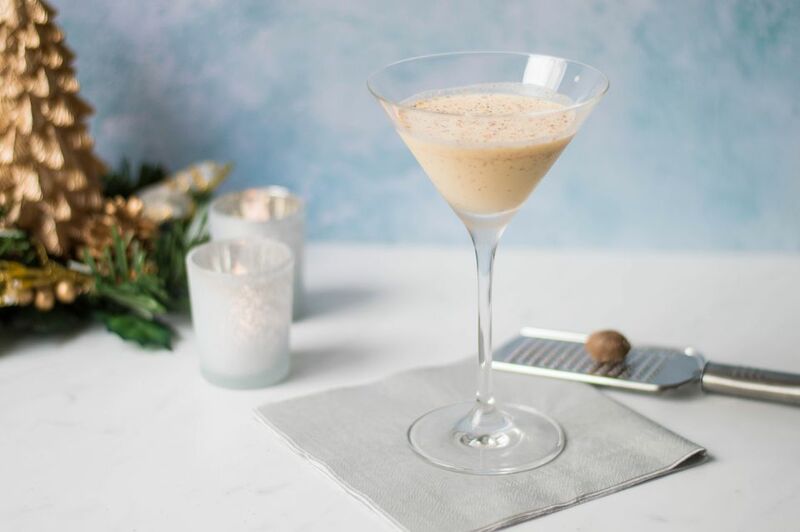 A White Christmas Dream is a creamy holiday cocktail that's fantastic after a meal. It also makes a nice nightcap after a long day of hustling around doing all of that stuff that comes with the holiday season. The cocktail is extremely simple to make and is a lot like the Godmother. The combination of vodka and amaretto is always fantastic and in this case a healthy pour of heavy cream is added to give it a lush, rich taste. Be sure to dust your drink with a little nutmeg. It is the key element that brings in a little extra Christmas cheer. The White Christmas Dream is one of those cocktails that is the perfect candidate for your favorite go-to vodka. There's no need to go with a top-shelf vodka—instead, find that great tasting vodka that fits your budget and keep that in your bar's stock for drinks like this. The amaretto is equally important for this cocktail because it has the same pour as the vodka. You may want to think about giving homemade amaretto a try because it is quite easy and fun to make. The last little note that I have is that the nutmeg really should not be skipped. It can be easy to blow off or forget about the garnish, but in this case, it really does make a difference. A slight dusting of nutmeg can take this drink from "okay" to "wow"! Heavy cream (or heavy whipping cream) is a very rich option for cream and it is a nice choice for making the most luscious of cocktails. However, it does come with a high fat content and if this is a concern for your diet, you may think about switching to half and half or light cream. How Strong Is the White Christmas Dream? To estimate how strong the average White Christmas Dream is, let's assume that we are using an 80-proof vodka and a 42 proof amaretto. In this case, this sweet dessert drink comes in at right around 17 percent ABV (34 proof). It is neither the strongest nor the lightest cocktail you can mix up. Instead, it could be considered a "Goldilocks" type of drink—it's just right.